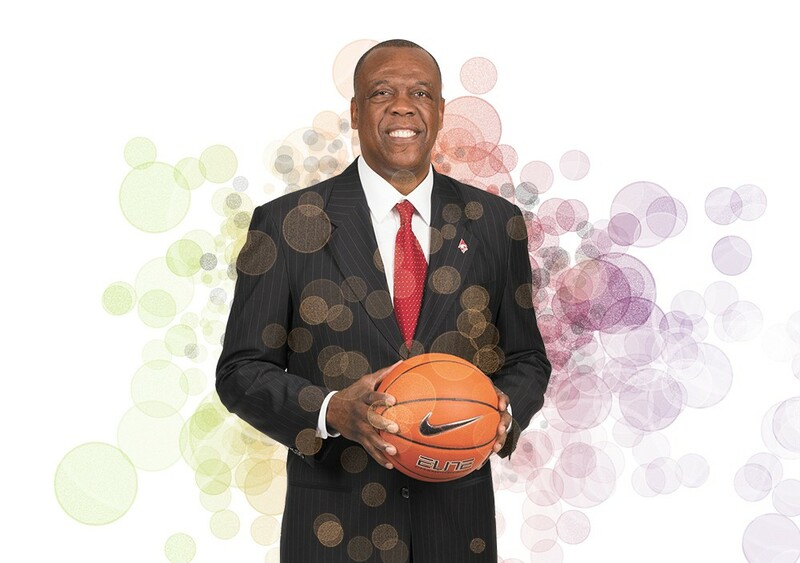 Ernie Kent makes more money than any basketball coach in Washington State University history. If $1.4 million a year seems like a lot of cash, consider how difficult it is to attract unusually tall, athletic young men to a school that hasn't won a conference basketball title since 1941. You remember 1941. The Japanese attacked Pearl Harbor. New York Yankees legend Joe DiMaggio strung together his record 56-game hitting streak. And Washington State won the Pacific Coast (now Pac-12) Conference championship before losing to Wisconsin in the NCAA title game. Kent, the most energetic 60-year-old on planet Earth, wasn't alive the last time the Cougars won a conference championship. He's not foolish enough to predict his inexperienced squad will change anything in that regard this season, but he's not losing any sleep over the fact that WSU is the overwhelming "favorite" to finish last in the Pac-12, according to the league's preseason media poll. "The media has no clue of who you're bringing into your program," Kent says, "because they've not followed these players that we're bringing in the door. They have no clue as to what goes on during the summer because they're not in the weight room with you. They're not on the track running. They're not in the pick-up games." Kent speaks the truth. Still, the Cougars lost leading scorer DaVonté Lacy off a 13-18 team that tied for eighth in the Pac-12 at 7-11. Seven of the team's 13 players are newcomers, and the Cougars might start three junior college transfers. Kent, beginning his 20th season as a college head coach, says he has "the best group of big guys I've ever coached." Leading the way is junior forward Josh Hawkinson, who ranked 10th in the nation with a conference-leading 10.8 rebounds per game last season. His scoring average (14.7) ranked second on the Cougars and 11th in the conference, and his school-record 20 double-doubles (10 or more points and rebounds in a game) led the Pac-12 and ranked fourth nationally. Kent says Hawkinson is "our go-to guy, our team leader." The coach is quick to add, "He has to get better defensively ... he's worked on that extremely hard." Kent says Hawkinson's numbers and playing time may drop a bit this season. Both men say that could be a good thing. "This team has a little more depth," Hawkinson explains, "so I know there's going to be a lot more guys behind me that can back me up." Junior centers Conor Clifford and Valentine Izundu are transfers. Clifford, a 7-footer who starred on California's state JC champions last season, is more gifted offensively than the defense-oriented Izundu, who saw little action in two years at Houston. Junior Ike Iroegbu (8.9 ppg) is set to start at his natural "2" guard position after starting at the point the second half of last season. JC transfer Charles Callison ("A really strong point guard, outstanding leadership," Kent says) is battling former starter Ny Redding for a starting job. JC transfers Darrien King and Renard Suggs are talented 3-point gunners who are pushing junior Que Johnson for a starting wing spot. Viont'e Daniels, the state Class 4A Player of the Year at Federal Way High School, is another perimeter threat. Forward Robert Franks was an honorable mention all-state pick at Vancouver's Evergreen High last season. The Cougars' lone seniors, post Junior Longrus and forward Brett Boese (from Shadle Park in Spokane), again figure to fight for playing time.